Smooth Sailing: Where to post your status! 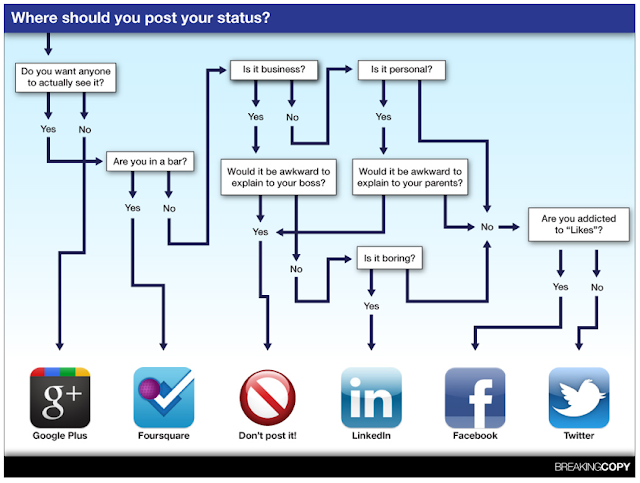 Confused by social media and not sure where to post your status. KISA sent me this handy flowchart to help you decide.